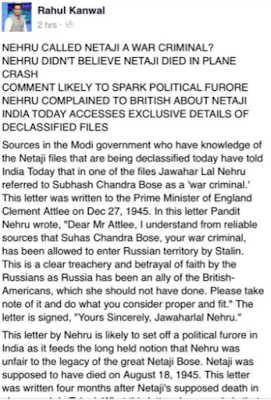 Amidst raging controversy over whether Jawaharlal Nehru considered Subhas Chandra Bose a war criminal, a fresh document from the Netaji files released by the Government of India has come to light, which shows that Nehru rejected any such attempt which may have been made after Netaji’s death. 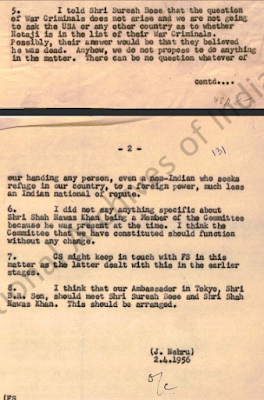 Marked “Secret/Immediate”, and dated April 2, 1956, the document, which carries the National Archives of India stamp, relates to Nehru’s meeting with Suresh Chandra Bose, Netaji’s brother, and Shah Nawaz Khan in the morning. It is marked “Prime Minister’s Secretariat” at the top. 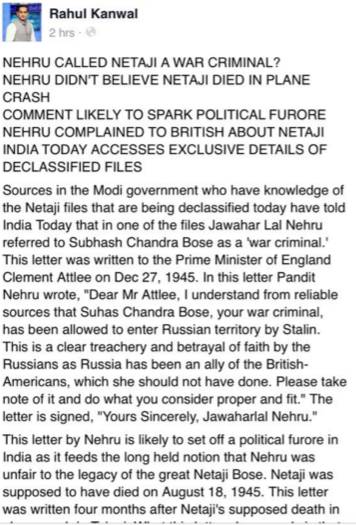 Meanwhile a fake letter, purportedly “leaked” by circles close to Prime Minister Narendra Modi, started taking rounds. 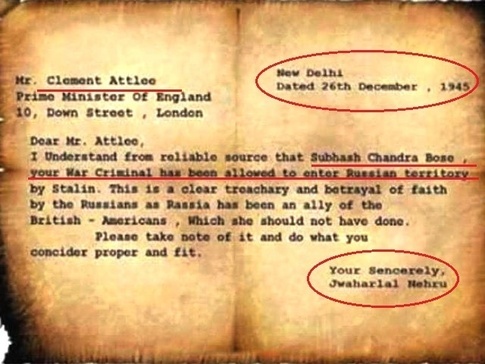 While the letter was supposed to have been written by Nehru, it misspelled Jawahalal as “Jawharlal”, calls British Prime Minister UK Prime Minister, apart from several other glaring errors which Nehru would never have made. 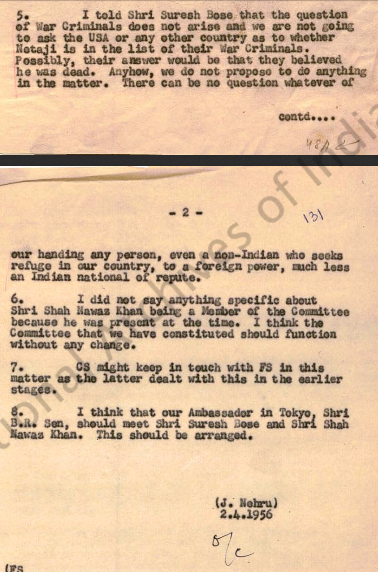 Unsigned, it does not bear any stamp of National Archives of India, either.